MOSCOW, Russia -- Vlad’s last message came on 25 December, right after Christmas lunch as my children were running out the door for an afternoon walk. Vlad Kolesnikov was humiliated and bullied after wearing a protest T-shirt to school. In messages sent before his death, he said his life had become unbearable. “If I don’t get in touch in the next 2-6 days, you can write [about me]. It means I’m dead,” it said. My increasingly panicked calls and messages failed to reach him. They are still marked as unread. A few hours later, police confirmed that Vladislav Pavlovich Kolesnikov had taken an overdose of prescription drugs and died. Vlad had been my daily online companion for weeks. Now he was lying on the cold slab of some distant Russian morgue. I had written about Vlad’s situation before. My colleagues and I had been in touch with him since his pro-Ukraine protests last June landed him in trouble. But when I contacted him in early December to find out what had happened, his answer was alarming. He said he desperately wanted to flee to Europe and asked for my advice. He sounded isolated and in need of support. We chatted almost every day on Telegram, the instant messenger service. Most of the time I just listened. He told me about his dreams, his music tastes, his hopes for the future and the daily humiliations to which he was subjected. Vlad asked me to tell his story if anything happened to him. He wanted the world to know about the persecution, the violence and the isolation that can befall anyone in Russia who is deemed to be different. What prompted a smart, educated, healthy boy of 18 to take his own life? The incident that sent Vlad’s life tumbling down like a house of cards is almost indecently trivial. On 3 June, Vlad says he showed up at his school in the Moscow suburb of Podolsk with a T-shirt featuring a Ukrainian flag and the words “Return Crimea”. He was not a human rights defender or a political activist. He was simply a young Russian who disapproved of his country’s actions in Ukraine. But, unlike many others, he was not afraid of saying it out loud. A few weeks earlier, he had played the Ukrainian national anthem on his mobile phone during a compulsory visit to the military conscription office. Soon after, officials said he had a “personality disorder”. Several days after the T-shirt incident, he says he was assaulted by schoolmates. “Just a split lip, a few bruises, some bumps on the head, and three drops of blood,” he wrote on Facebook, trying to put on a brave face. Police officers came to question him and he was excluded from school. “At his own request,” he was informed. He says his grandfather, who Vlad was living with in Podolsk, later drove him out of the house. His grandfather gave an interview to the Komsomolskaya Pravda tabloid, accusing Vlad of courting the west’s favour and citing passages from his diary. Vlad was only 17 at the time. “Even in my worst nightmare I could not have imagined that such a machine would be set in motion because of a piece of cloth and a small flag,” he wrote to me. Rumours of his budding homosexuality did not help. He said his schoolmates routinely beat him up, pushed him around, spat at him and flung mud and snow in his face. They called him khokhol and pidoras, crude insults denigrating Ukrainians and homosexuals. “I can’t even remember how many times I’ve been beaten up,” he wrote to me. Investigators have suggested that he did not mean to kill himself. They say it was an accidental “poisoning” from alcohol and drugs. But I know about the prescription medication. I know that he had been considering suicide. “I will say this to you only and to no one else,” Vlad wrote to me on 14 December. “Do NOT take anything!! !” I wrote back. I had put Vlad in touch with a friend, who alerted lawyers and foreign NGOs running evacuation programs. But there were forms to fill in. Vlad slowly let this sliver of hope slip away. He felt like his world had caved in and there was no way out. “I believe you and I trust you,” he wrote several days before he died. I did everything I could to save Vlad, but I failed. 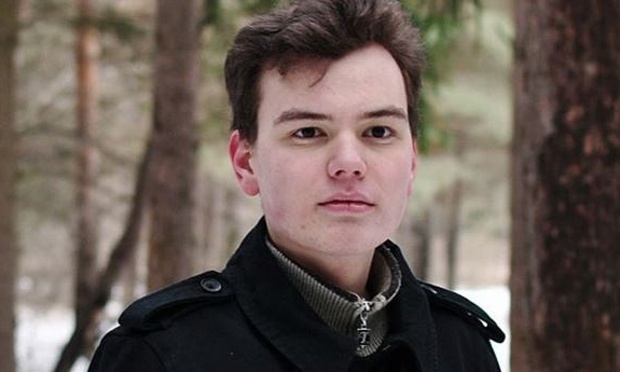 Russia, by denying him the right to be different, failed him too.